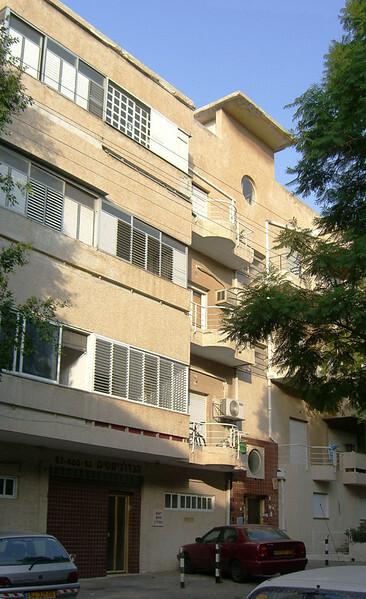 21-Bauhaus on Ya'el Street. Balconies at left have been enclosed. Stairwell gets light and air from portholes at top and bottom, and louvers. Balconies at right were not enclosed.